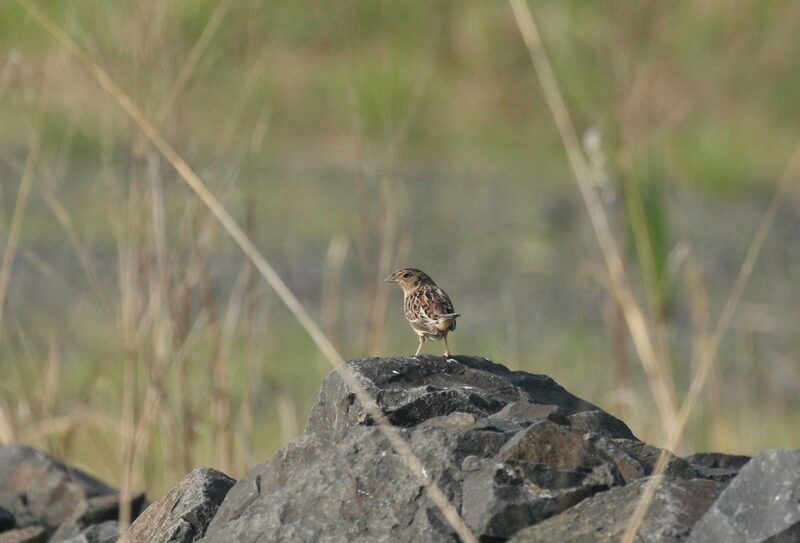 Researchers from the College of Staten Island led by Dr. Richard Veit have been conducting a survey of the grassland bird diversity and abundance at Freshkills Park. The researchers have surveyed the birds of the grasslands on the Freshkills mounds every year since 1996-1997 as part of the National Audubon Society’s Christmas Bird Counts, and are now continuing their survey work throughout the summer season. During that period, they have observed a dramatic increase in the number of wintering Savannah Sparrows, and lesser increases in Horned Larks, Snow Buntings and Lapland Longspurs. Birds that use grasslands for breeding, foraging, or wintering have declined dramatically in New York State, and in the Northeastern United States as a whole, due to the disappearance of native grasslands. Grasslands are now endangered because of their conversion to agricultural fields and housing developments. 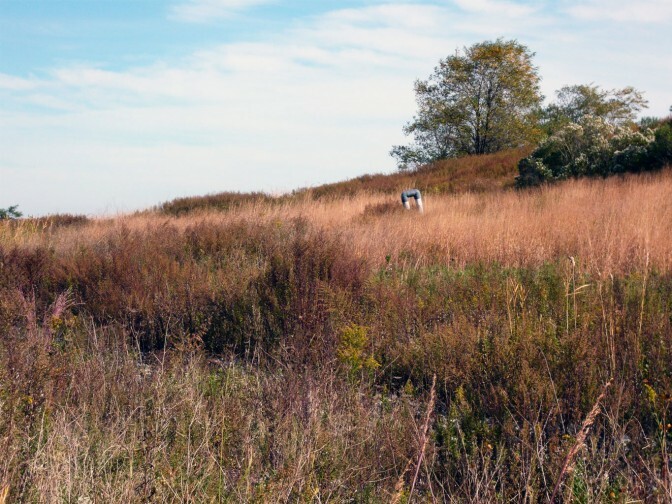 At this time, the reclaimed landfill mounds at Freshkills Park provide a unique opportunity to conserve and manage grassland habitats and the birds that use them. The project will inform how ecological management of Freshkills Park could lead to effective conservation of grassland habitats and the birds that inhabit them. The park provides a unique opportunity to preserve some of these productive habitats within an intensely urban environment. With assistance from researchers at the College of Staten Island, NYC Parks researchers are assessing the habitat preferred by these grassland bird species. Grasslands have largely been destroyed by agricultural production, with less than 1% of the original Northeast tallgrass prairies remaining. Since Freshkills Park has now become home to the largest grassland habitat in the region, NYC Parks is particularly interested in how to keep it a productive habitat as park projects are developed. In 2016, NYC Parks staff began grassland habitat assessments in two sections of the park. The majority of grassland bird species at the park prefer one section over the other, so the hope for this habitat study is to determine what habitat characteristics these birds prefer so that those characteristics can then be encouraged throughout the park. The habitat assessment data are being combined with the grassland bird monitoring data to aid this effort. This will help to form an adaptive grassland management strategy for Freshkills Park that prioritizes these returning grassland bird species. Find updates on grassland research here.